When morning dew covers plants with gentle drops, each of them acquires completely new appearance. 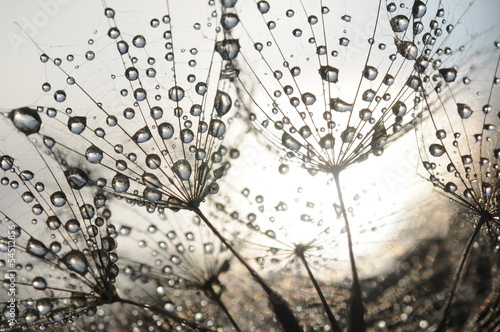 Just like dandelions dressed in a cobweb of drops, they look like the most expensive diamonds. A photo wallpaper with this motif will be a perfect composition for a bedroom. It will be so nice to wake up nearby sleeping and misted dandelions.